A house guest who wanted to learn to make ice cream. The holidays, where pecan pie is a family tradition that has long eluded me – I’m just not a big fan of pecan pie. Too rich. Too sweet. But I love pecans. And I love ice cream. Gloria Nicol, who taught me how to make ice cream cones a few weeks ago using the recipe in Jeni’s Splendid Ice Creams at Home and Gloria’s cool ice cream cone making contraption. My dad’s love for butter pecan ice cream. I didn’t go home for Christmas this year, so I’ve been looking for all kinds of excuses to make things that remind me of my Chicago home. 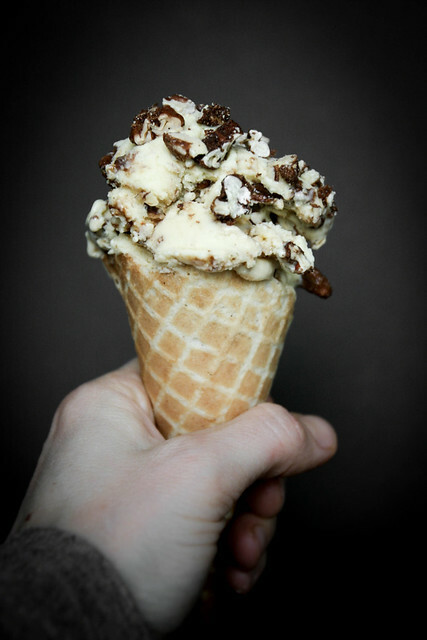 David Lebovitz’s book, A Perfect Scoop. The spiced pecans in this totally rock my world and I’ve since made them again to use for other purposes – they’re great on salads, or just to eat as their own. This recipe explains how to make custard on a stove top, but if you have a high-powered blender like a Vitamix or Froothie, you can also make custard in a blender. 1 batch of Spiced Pecans (recipe below). 6. Remove the vanilla bean and freeze the custard in your ice cream maker according to the manufacturer’s instructions. During the last minute or so of churning, add the bourbon pecans to the machine (reserve a few pecans for garnish if you’d like). Preheat the oven 300F / 150C. Spray a baking sheet with nonstick spray. Whisk the egg whites in a medium bowl. Stir on the sugar, spices, vanilla and pecans. Spread the coated nuts evenly on the baking sheet. Bake for 30 minutes, stirring twice during baking, until the coating has hardened onto the pecans and they are nice and dry. Remove from the oven and let cool completely. For ice cream, chop them coarsely before mixing into the custard. Oh look, I made a picture with some text on it! 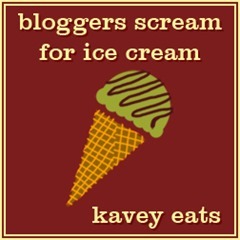 This is my submission to Kavey’s Bloggers Scream for Ice Cream, inspired by ice cream showstoppers! Oh I would LOVE this ice cream. 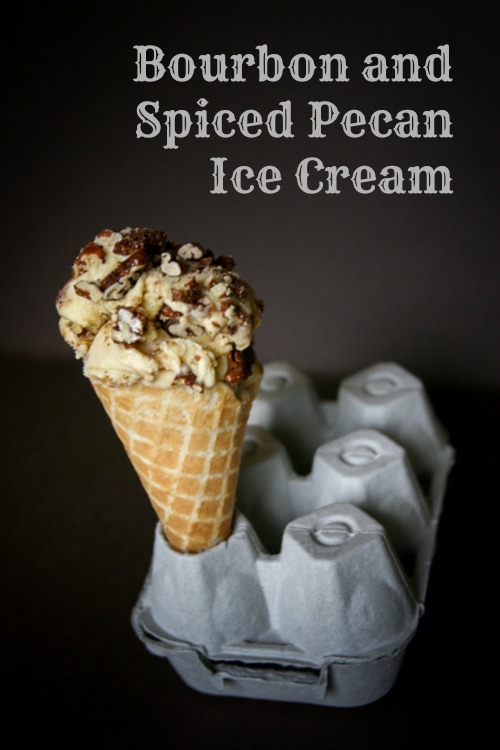 Firstly, having sploshed bourbon into one of mine earlier this year (burnt apple and bourbon) I know it’s great in vanilla ice cream, and secondly, oh my god spiced pecans! 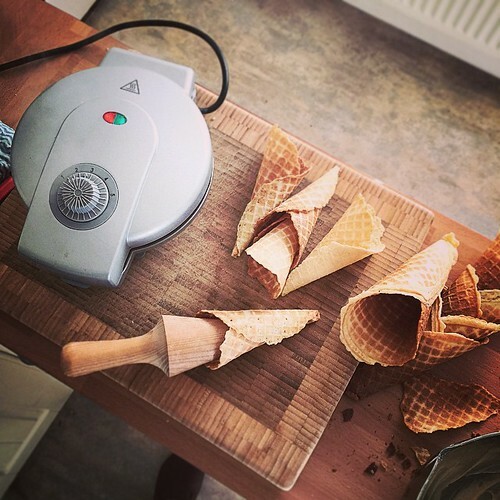 Love those waffle cones! Looks fab and very drool-worthy, Monica. I am not a pecan pie lover either but love pecans. Gorgeous. This looks absolutely delicious! What type of ice cream maker do you use? Just a basic Phillips ice cream maker! Just made this- it is delicious!